Enjoy a glass of wine and join the discussion! 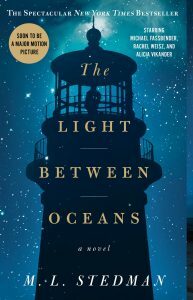 This month’s book is The Light Between Oceans by M.L. Stedman.